It’s an understatement to say that Jack and I both drink a lot of iced tea. 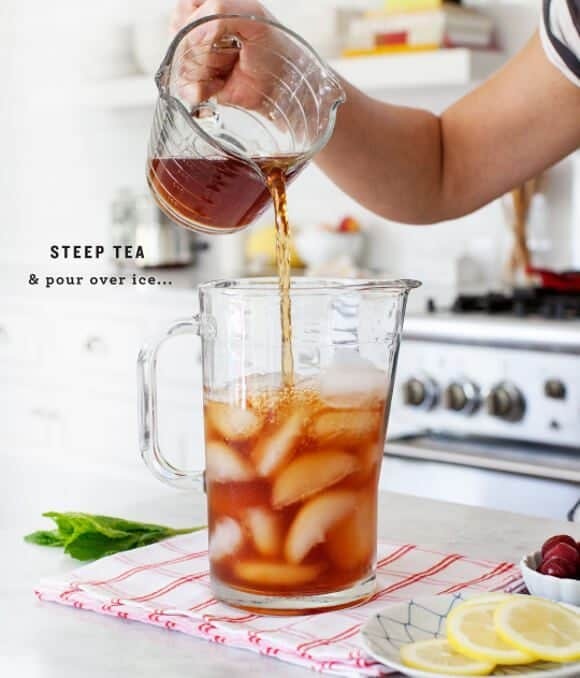 While I usually prefer unsweetened tea – I’ve found that adding just a splash of tart cherry juice to plain black tea (or green tea) is so deliciously tangy and refreshing… and just slightly sweet, which is the way I like my tea. 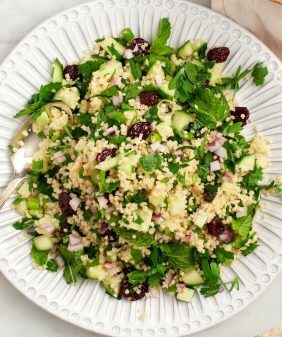 This is quick and easy make – it has just two ingredients plus some mint and a few lemon slices. Lime or orange slices would be lovely in here as well. Tart cherry juice is full of antioxidants (just look at that dark color! ), and is a natural anti–inflammatory. Aside from that, most importantly, it just tastes really good. You can find it in the juice aisle of most stores. It’s next to the pomegranate and grape juices. Steep tea and let it cool to room temp. (or pop it in the fridge if you can't wait). 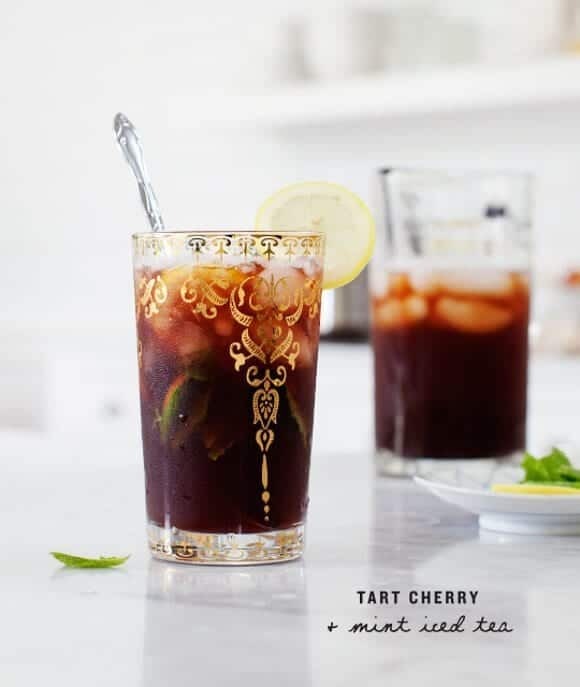 Pour tea over ice and stir in tart cherry juice, mint, lemon slices & frozen tart cherries. Add more tart cherry juice to taste. Feel free to add sweetener (honey, stevia, etc), to taste if you like your tea a bit sweeter. If you want more minty flavor to your tea, try steeping a few mint sprigs with the tea and remove them before serving. I grew up on (plain) iced tea (Southern parents) and I never particularly liked it. This sounds incredible – will try it over the weekend. It’s supposed to be a nice one. Tart cherry juice is one of my favorite things, love the tang it gives to whatever you put it in. Can’t wait to try it with tea! Loving this flavour combo – perfect for the weekend! You must’ve made this recipe just for me! I LOVE green tea and anything to do with cherries. Can’t wait to try it! Wow! I love the props and that glass in these photos. And the drink itself sounds delicious. I have memories of picking red tart cherries from an enormous tree in my sister-in-law’s yard. We pitted and froze them. They inevitably ended up in pies. 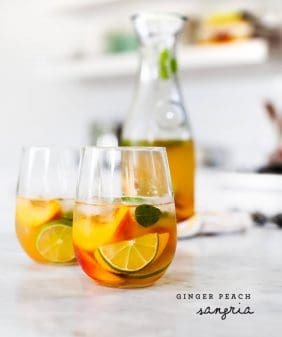 I froze the unsweetened juice to always have on hand as subtle flavoring for sparkling water, and it became one of my favorite summer drinks. The mint sounds like a wonderful complement. It looks really fresh and tasty! 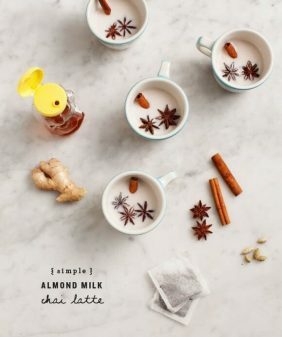 What a great sweetener idea! I’m with you on preferring unsweetened tea, so something that adds just a bit of flavor and a hint of sweetness sounds perfect to me. Tart cherries, whether they are frozen, dried or juice as shown are fantastic, and of course the antioxidants are great for you. Tea looks refreshing. Thanks. This looks amazing! 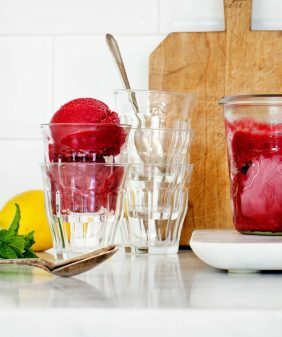 Love the sound of tart cherries with mint! I’m in love with these photos!! 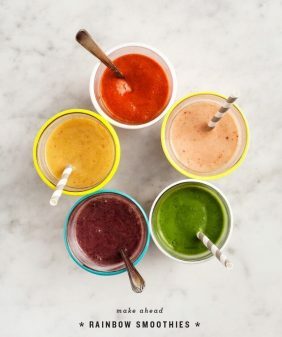 This looks delicious and super refreshing! I’ve heard such good things about tart cherries, I have to try them! Love that you used tart cherries in this, and the photos are phenomenal! Where are those glasses from? 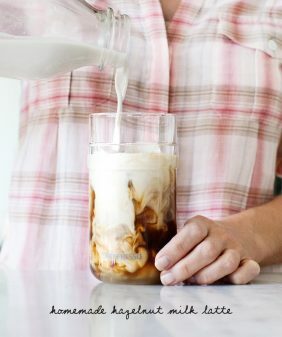 Looks like a great drink for summertime, can’t wait for the weather here to warm up to try it for myself. Thank you for sharing this, since its summer here I will also try that one at home, kids will surely love this tea. Awesome.